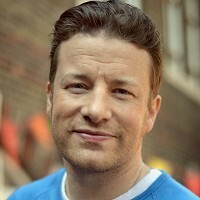 TV chef Jamie Oliver wants people's help to put pressure on the governments of the world to solve a global obesity problem. He has started a petition on the change.org website in order to get the G20 leaders to make sure people learn about eating healthily. People who eat healthily from an early age are less likely to be overweight or obese. They may also reduce their chances of needing medical travel insurance because they have an illness linked to their size and weight. Oliver says he was shocked to learn that the obesity crisis is twice as bad worldwide now than it was 35 years ago, and he was moved to do something about it. On the website, he says there are 42 million overweight or obese children on the planet and unless action is taken now the next generation will not live as long as their mothers and fathers before them. He wants people to sign the online petition and then do their bit to publicise the campaign via social media. Food education is a life skill that allows people to lead better and healthier lives, Oliver says. He goes as far as saying it is a basic human right and he wants to create overwhelming support for the idea so that the G20 will find it impossible to ignore. Oliver, who has fronted several TV shows and has a successful chain of restaurants, says he is determined to make a difference to future generations of young people around the world, and his campaigns have already made a difference in the UK. A decade ago, he campaigned to make school dinners healthier and he is pleased that all schoolchildren in England have to do some form of cookery up to the age of 14. He says progress is being made on food education in some other countries but a more concerted effort is now needed. The latest obesity figures mean that everyone, from governments to businesses to families, should be doing more to improve the diets of young people, Oliver says.